Thanks to our fellow rally photographer from Chicago, Arthur Partyka, we bring you coverage from the 100 Acre Wood Rally in Salem, MO. 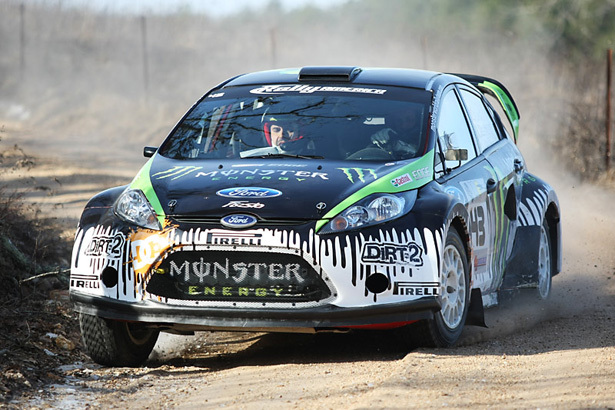 The 100AW was the second rally in this year’s Rally-America series. 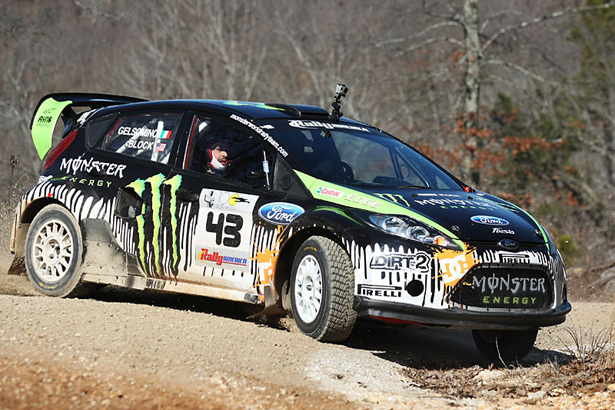 Ken Block and the Monster World Rally Team dominated this event. 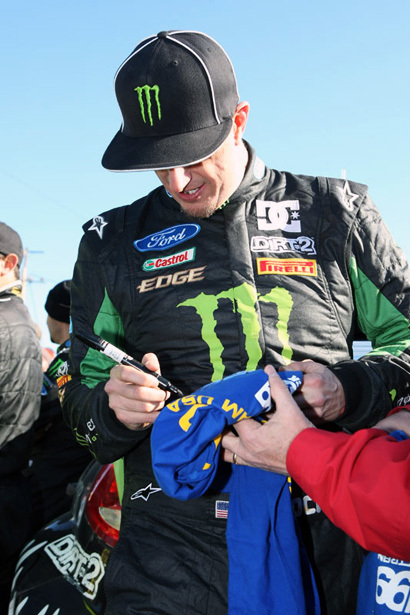 This year’s win was Ken’s fifth straight #1 finish at 100AW. 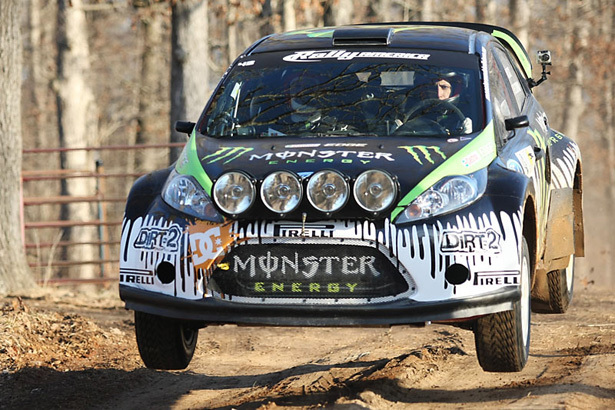 It was also Block’s first podium finish in his brand new 2010 Ford Fiesta rally car. Travis Pastrana had a little mishap on the Potosi Super Special stage. 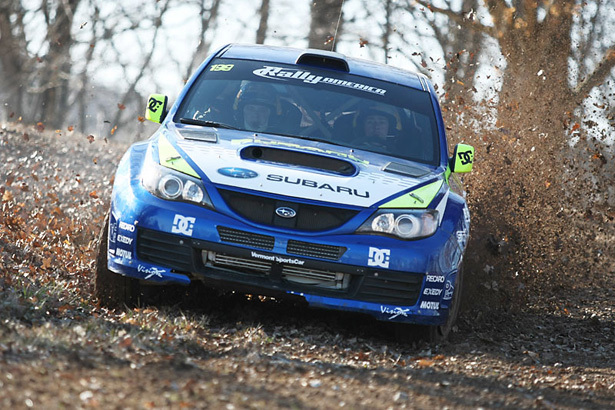 He broke the left rear control arm in his 2009 Subaru Impreza STI and could not continue the rally. The second place went to the Canadian team of Antoine L’Estage and Nathalie Richard. 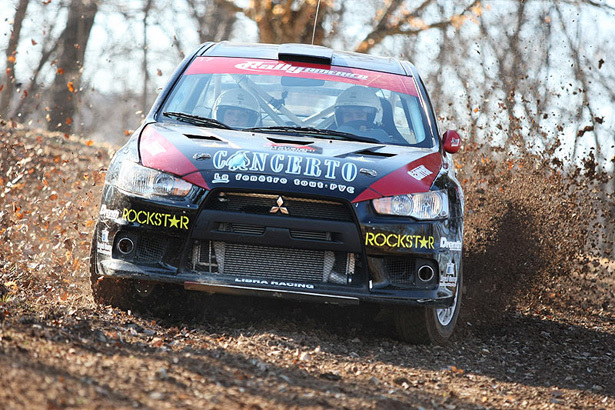 Their 2009 Mitsubishi EVO X was consistently fast on gravel roads of Southern Missouri. 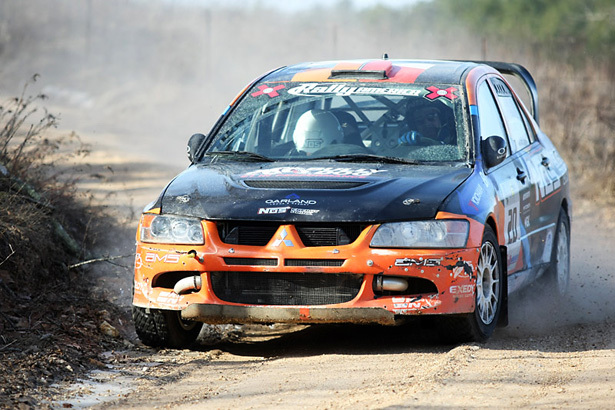 Chicago-based team of Piotr Wiktorczyk and Greg Dorman experienced an engine fire on one of the first stages and could not finish the rally. 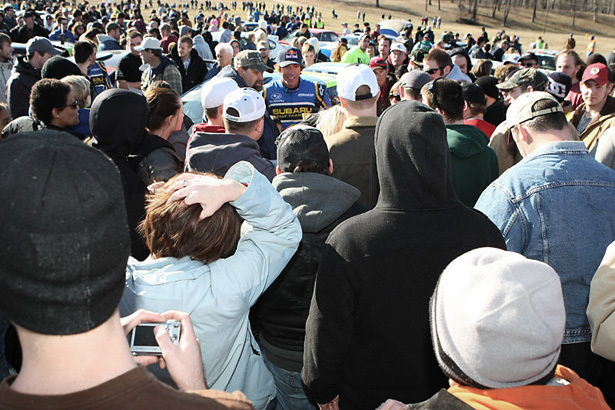 After the event Dorman explained: “Basically about four and a half miles into the stage our car lost all its power. We pulled over and opened the hood and it was on fire. So we got out some extinguishers, it didn’t want to go out, but the Conleys were kind enough to pull over. We grabbed their extinguisher and we got the fire out”. We’re happy to hear that Piotr and Greg walked away from this incident without a scratch and we hope to see the Rider’s Energy Team on the podium in the near future. Andrew “ACP” Cormie-Picard blew the engine in his 2007 Mitsubishi Lancer Evolution IX and didn’t have a chance to complete on any of the 100AW special stages. 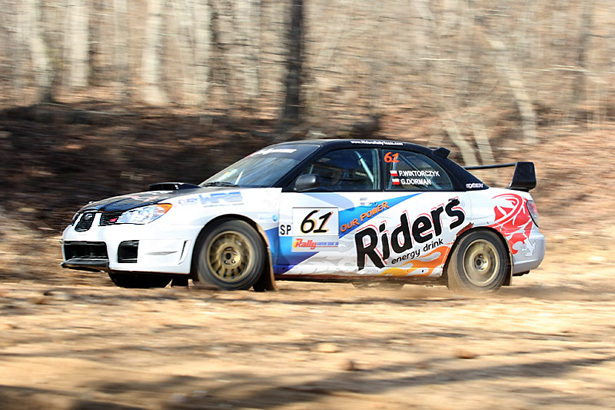 Henry & Cindy Krolikowski dominated the 100 Acre Wood regional rally results in their 2000 Subaru Impreza. Their white GC8 STI looked as good as ever, especially after a quick car was in a water splash. 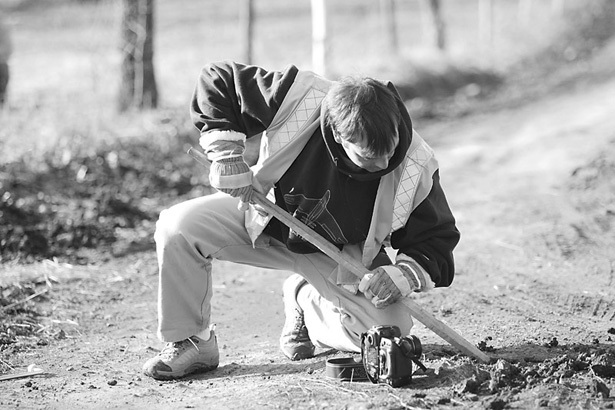 Last, but not least, Arthur captured a photo of Lars Gange, the official Subaru Rally Team USA photographer digging a hole for his Nikon pro camera. 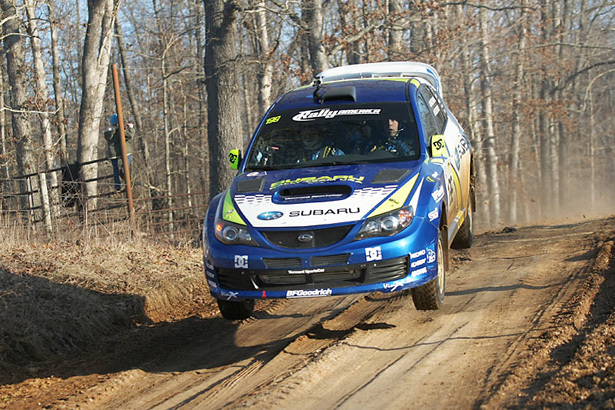 You can take a look at the result of this experiment in the Subaru Rally Team USA 100AW gallery. 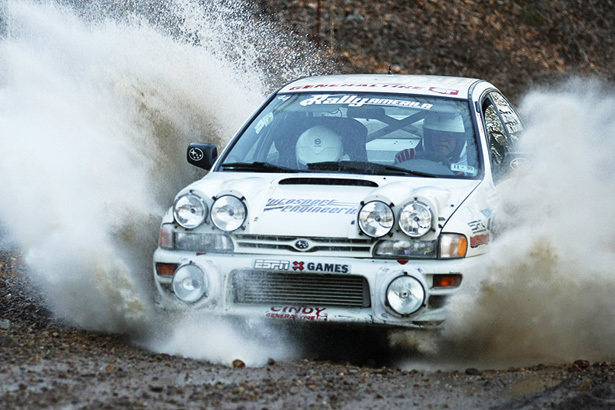 We’re looking forward to the next event on the Rally-America Schedule, Olympus Rally, based in Olympia, WA that will take place between April 23rd and 25th 2010. © Gravity Bureau Inc. – Blog. Powered by WordPress and Pyrmont V2.